Custom De-Ice Skid | Custom De-Ice Skid – Spray Center Electronics Inc.
It’s that time of the year again! Featured here is a custom 300 gallon de-ice sprayer on a stainless steel skid. 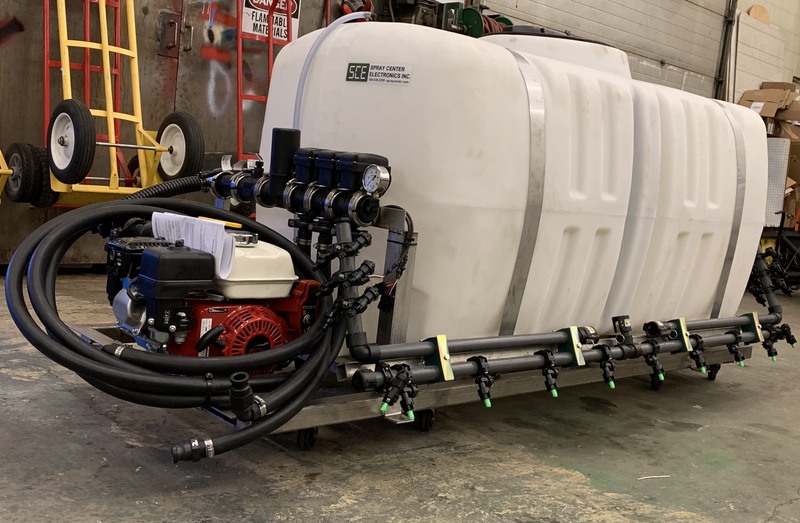 This unit includes a multi-lane spray bar with rate control and individual section shut-offs. If you’re just plowing right now and are looking to start de-icing or you are expanding or upgrading your current operation give us a call to discuss how we can help you make that happen.